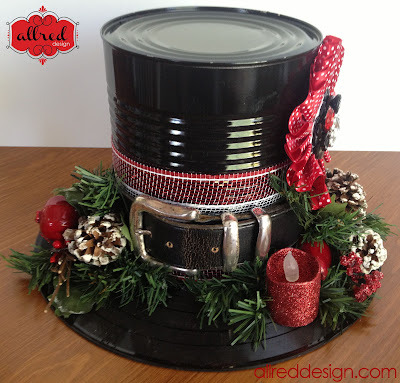 This next project was something that I thought would be a great "Holiday Hostess Gift." 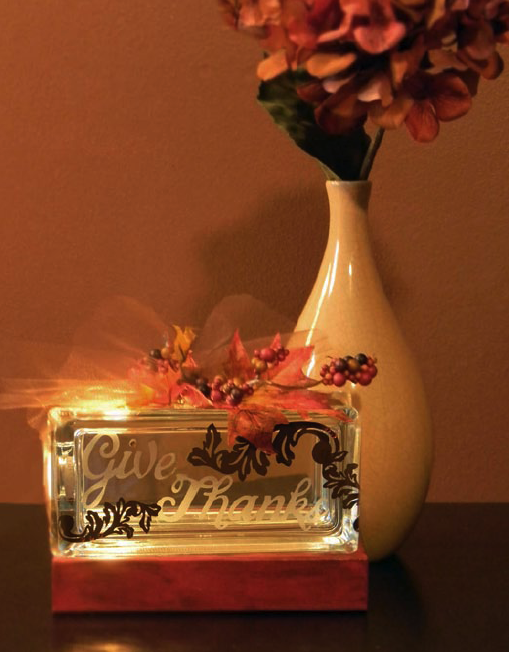 I purchased the lighted glass block at my local Hobby Lobby and using my Cricut, a vinyl negative and some etching cream I etched "Give Thanks" on the block. 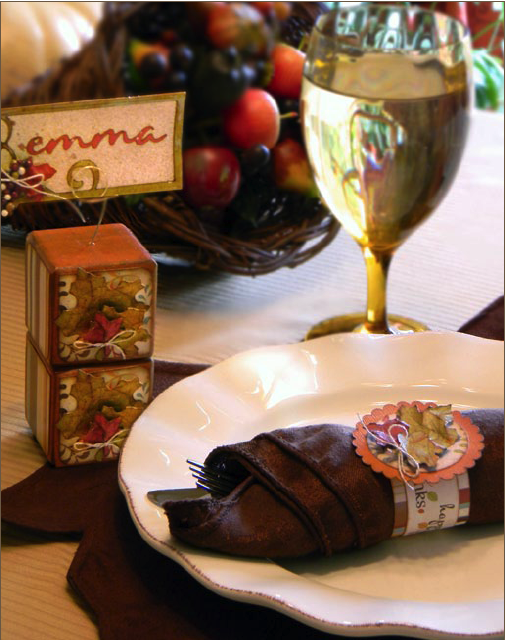 I then cute the beautiful flourish style leaves out of brown vinyl and place that around the etched words. 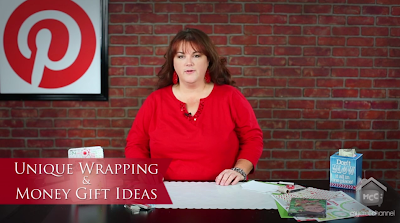 I think wrapped brown tulle around the blog and glued a small leave/foliage sprig to the top of the tied vinyl.